I love to cook and bake. It’s just something I love to do. My great grandma was quite an influence on me. She made wonderful meals from scratch well into her 80’s. She very rarely used a cookbook and taught me a lot about cooking and baking. It wasn’t until my daughter was born with a milk allergy that I really embraced cooking and baking from scratch. Most of the recipes I share are made from scratch. Please don’t let that discourage you from looking around. 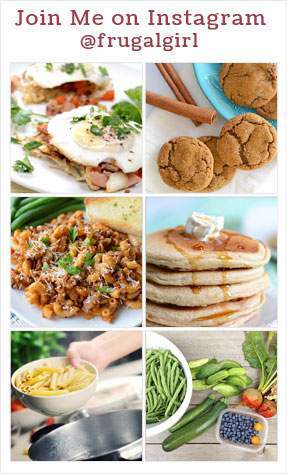 I think you will find most of my recipes are easy to follow. If you have a question about a recipe, just leave me a comment and I will answer as soon as I can. 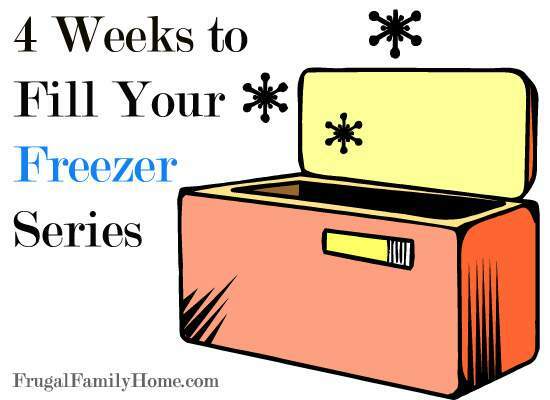 4 Weeks to Fill Your Freezer has recipes for breakfasts to desserts and every meal in between. Most of these recipes have dairy free options too. Need some lunchbox ideas you can prepare on the weekend and use all week long for lunch? 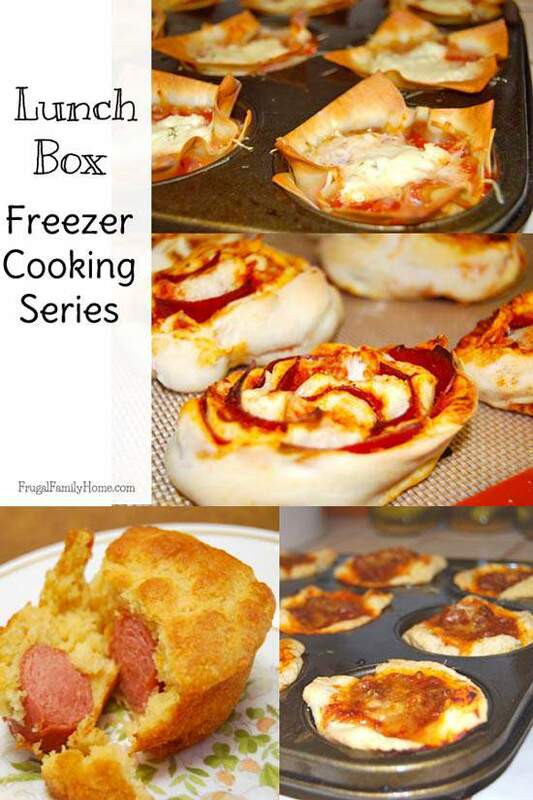 Then you will want to check out the Lunchbox Freezer Cooking Series. 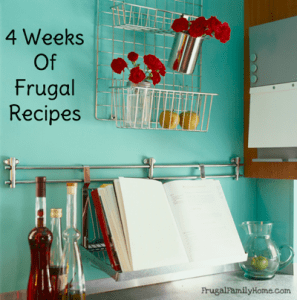 Making items at home that you would normally purchase at the store isn’t hard at all when you have a good recipe. 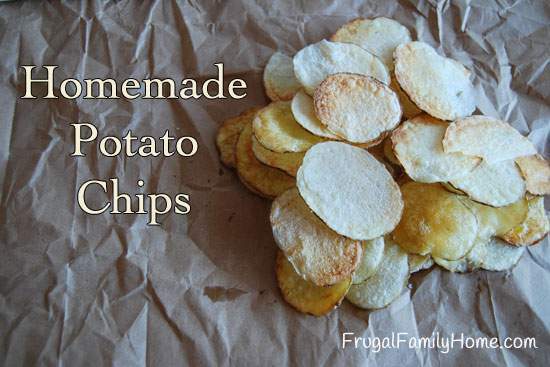 If you want to start making more of your own items at home, check out my make your own recipes. The recipes include baking items, mixes and more. You can also find some great make your own recipes in my Make it From Scratch Series. While most of the recipes I share won’t break your budget, here’s a collection of frugal recipes from breakfast to dessert. 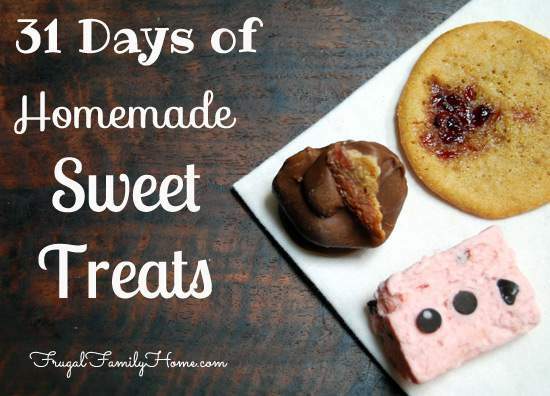 If you have a sweet tooth like me or if you want to make a special treat as a gift, be sure to check out my 31 days of Homemade Sweet Treats. You can also get my Sweet Treats ebook for free when you sign up for blog updates or my newsletter via email. If you like the recipes you see here, be sure to subscribe by email to the blog updates so you never miss a new recipe post. If you are on Pinterest be sure to follow me. 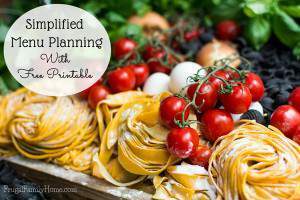 I not only share my recipes but other great recipes I find all over the web.